Going by the manner he targeted and achieved his objective, it would seem that the Nigeria Football Federation (NFF) President, Amaju Pinnick, has reached his peak in football administration after winning the coveted seat on the CAF’s Executive Committee. “We will improve football administration in Africa and a new wave of change will be witnessed under our administration,” Pinnick said upon his arrival in Nigeria shortly after the CAF poll in Addis Ababa, Ethiopia. Yet, it is only the beginning! Indeed, it is a fresh start, considering the challenges that Pinnick has faced at home before now and the ones that stand in front of him in the years ahead. He would be applauded and reckoned outside Nigeria. But, at home, he has great hurdles to scale. Youth development is one of the hurdles he must scale over if Nigeria is to stem its dwindling status in Africa and the world. Last year would be forgettable, considering that Nigeria’s youth teams failed to fly and generations of talent failed to market their skills as well as help steady the country’s growth in the sport. 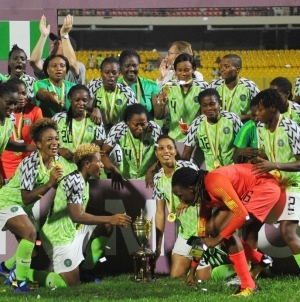 Safe for the National U-23 team that won bronze at the Rio 2016 Olympics and the Super Falcons who fought all odds to win the African Women Nations Cup trophy in Cameroon, football took an embarrassing back step. The Super Eagles’ fortune continued to dip with a second consecutive AFCON finals miss, although the team brought sparks later in 2016 with a brilliant start to the Russia 2018 World Cup qualifiers which saw the team take a commanding position in a group that comprises current African champion Cameroon and former champions Algeria and Zambia. Things have appeared stable for the Eagles though, as the flagship of the national teams has chalked up two friendly games lately against Senegal and Burkina Faso to set the stage ahead of the AFCON 2019 opening qualifying round opening game with South Africa in June. Otherwise, the fund challenge that has dogged the Pinnick administration is still as intact as it can get. The NFF helmsman has yet to unfold plans for cash sourcing other than the usual hope that funds would be available when they are needed. There was a raging debate last year with regard to pruning the various national teams to suit the meagre resources available to the NFF. 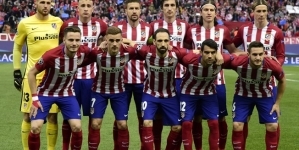 To this day, the federation has not come up with its position on which of the teams remain and which other ones are scrapped. As qualifiers begin soon for the underage competitions, confusion is bound to set in, which would ultimately affect the teams’ fortune. It seems the focus, despite everything, will remain on the Super Eagles at the expense of other teams-the Pinnick administration aiming to ensure the team’s easy passage to Russia to compensate for the two successive AFCON misses. It remains to be seen how Pinnick would find sustainable way round the financial logjam. Nonetheless, the Pinnick administration has performed wonderfully on the coaching training aspect and deserves commendation, thanks to the consistence of the NFF Technical Director, Bitrus Bewarang, who has drawn many coaches on the domestic scene to attend series of programmes that would benefit the country’s football in the long run. Perhaps, what would be left after this feat by Bewarang is for the NFF to encourage improvement of football on the local scene such that it could aid the League Management Company (LMC) to attract the right sponsors that would ultimately rub off on the clubs and players. One surest way to achieve this is to increase the quota of players in the domestic league in the Super Eagles to at least five at any given time, moving forward, to strengthen the team competitively.